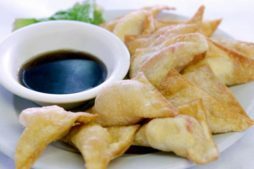 Assorted shredded vegetables and beef dumpling, lightly fried. 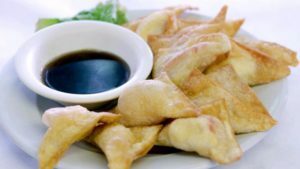 Crabmeat and cream cheese dumpling, lightly fried. 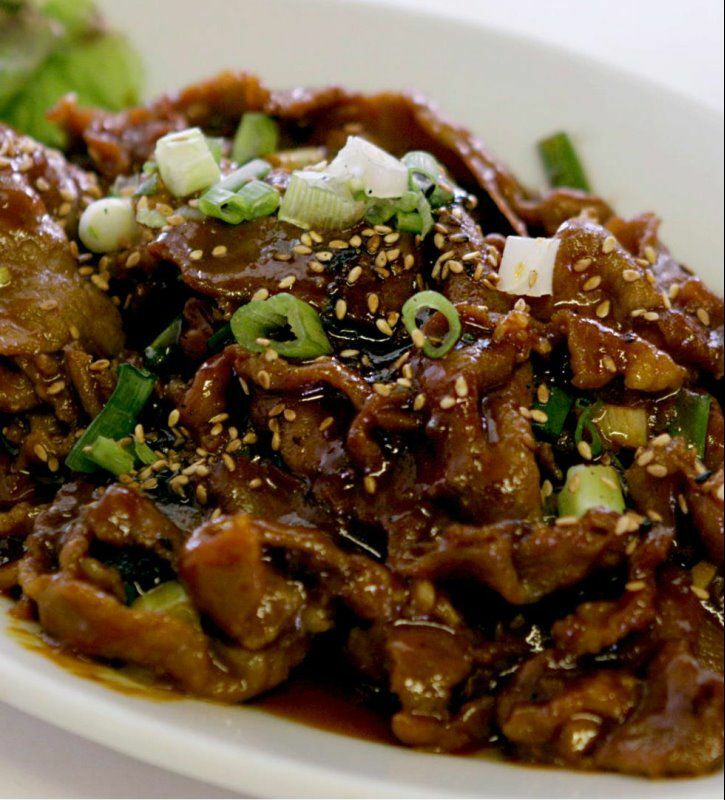 Very finely sliced pork meat deliciously marinated in Sunny’s homemade traditional hot sauce. Tender pieces of white meat sautéed with fresh garlic, white wine, red pepper, chili oil, and assorted vegetables. Big bowl of steamed Korean rice covered with marinated vegetables, Bulgogi, and topped with a fried egg. Served with hot sauce on the side. *Extra for meat substitution. 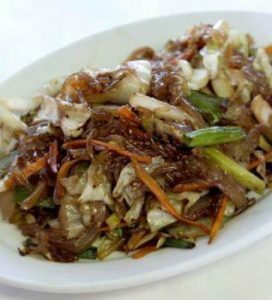 Very fine Korean angel hair noodles arranged with three different marinated vegetables and Bulgogi. Served with hot sauce on the side. *Extra for meat substitution. Sliced & Grilled, tender portions of sirloin steak marinated in Sunny’s special homemade teriyaki sauce. Sliced & Grilled, tender chicken marinated in Sunny’s special homemade teriyaki sauce. Sliced & Grilled, pork tenderloin marinated in Sunny’s special homemade teriyaki sauce. ‘Sizzling Bi Bim Bap’ – Stone bowl of steamed Korean rice topped with 3 different marinated vegetables, Bulgogi, and topped with an egg. Served with hot sauce on the side. Extra for meat substitutions. 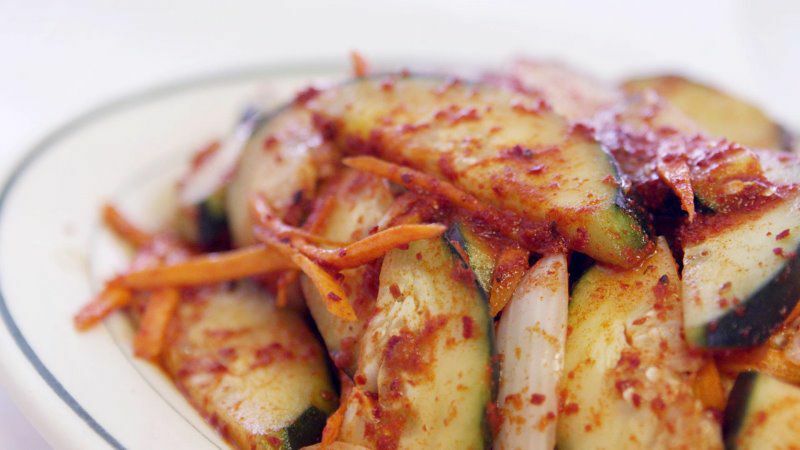 Chef’s Choice of 5 marinated vegetable side dishes. Jumbo shrimp grilled & marinated in Sunny’s special homemade teriyaki sauce. 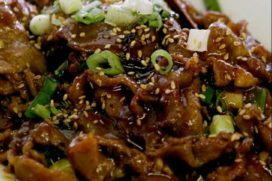 Sliced beef and assorted vegetable sautéed in sesame oil with sweet potato noodles and sliced green onions. 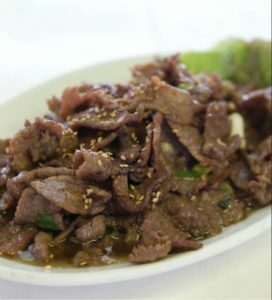 *Any additional items such as extra vegetables or meat and certain substitutions, additional $2.50 per order. Parties of 6 or more will be added a 20% gratuity. Assorted shredded vegetables, spinach, and beef dumpling, lightly fried. 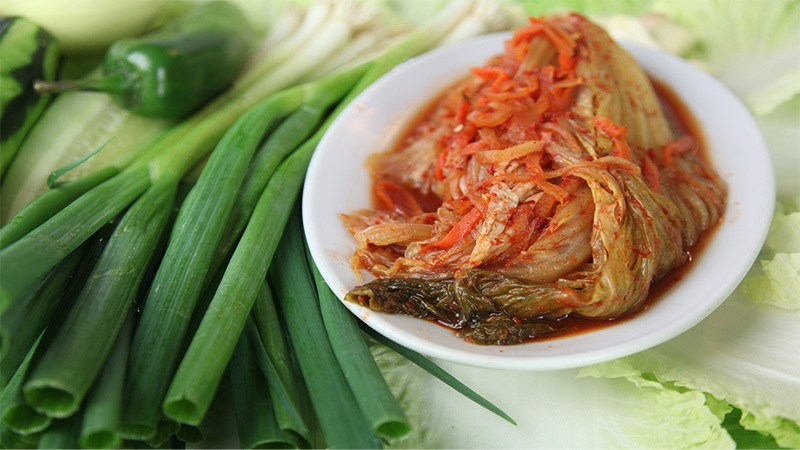 Sunny’s naturally made, deliciously fresh, hot seasoned Korean cabbage. Tender squid and assorted vegetables stir fried with Sunny’s delicious spicy sauce. 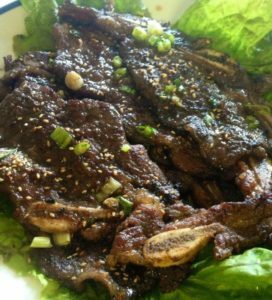 Sliced tender portions of sirloin steak marinated in Sunny’s special homemade teriyaki sauce. Sliced tender portions of pork loin marinated in Sunny’s special homemade teriyaki sauce. Tender chicken breast marinated in Sunny’s special homemade teriyaki sauce. Fresh shrimp marinated in Sunny’s special homemade teriyaki sauce. 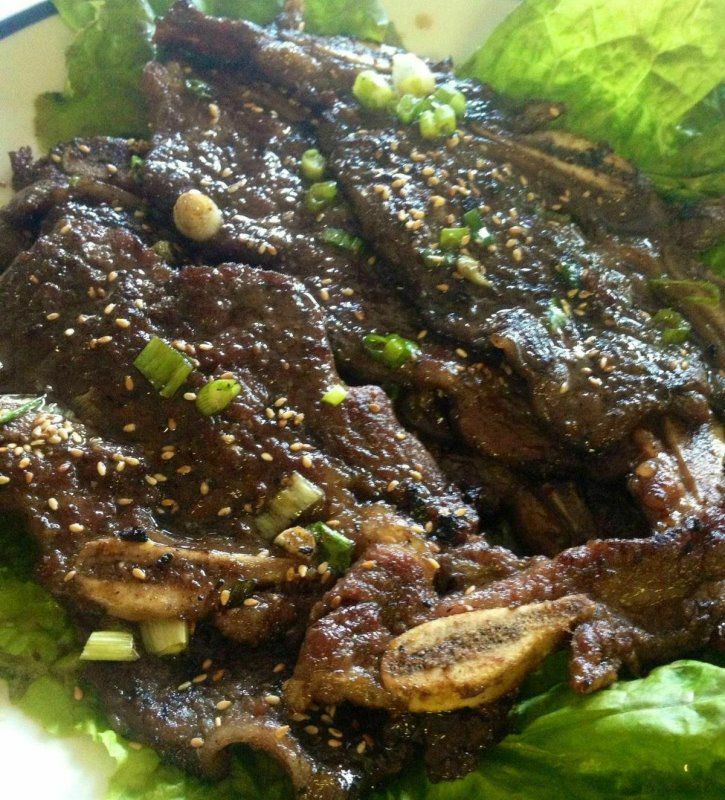 Special meaty, beef ribs sliced and tenderized in Sunny’s delicious sauce. 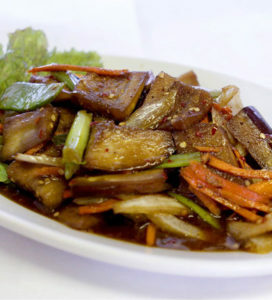 Sliced beef or tofu, assorted vegetables and sautéed in sesame oil with sweet potato noodles. 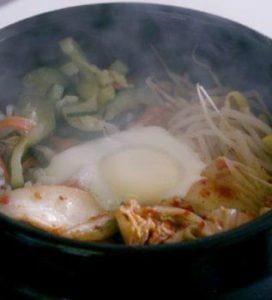 ‘Sizzling Bi Bim Bap’ – Hot stone bowl of steamed Korean rice topped with 3 marinated vegetables, Bulgogi, and a fried egg. Served with hot sauce on the side. 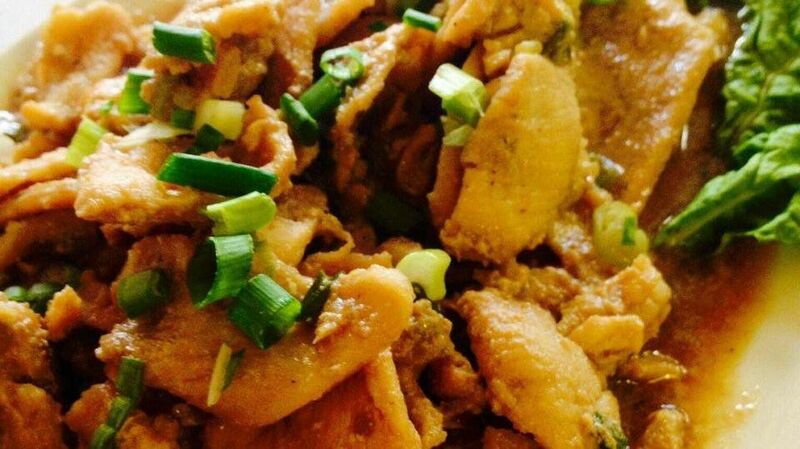 Dark meat chicken seasoned sweet and spicy, sautéed with fresh garlic and ginger. Fresh shrimp with assorted vegetables in a delicately spiced sauce. Sunny’s homemade delicious kimchee, onions and stir-fried with pork loin. 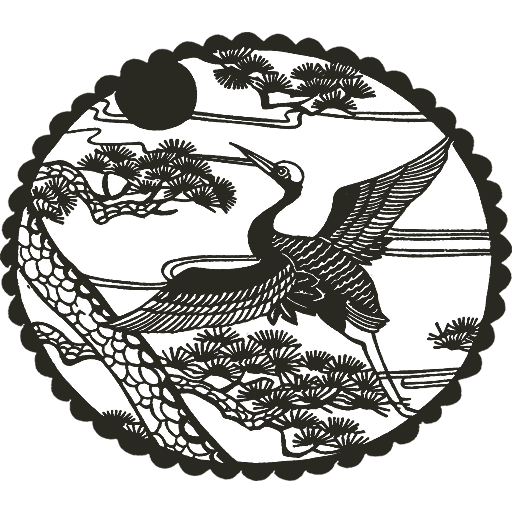 Jang Soeng style. 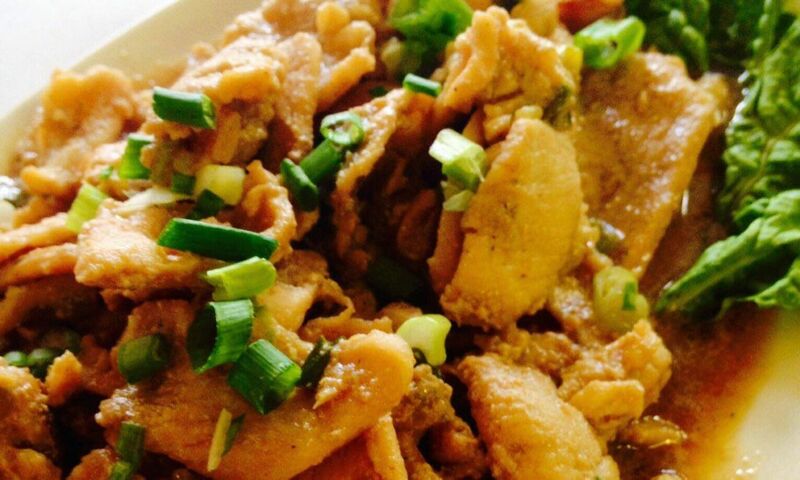 Tender pieces of chicken sautéed with fresh garlic and wine. 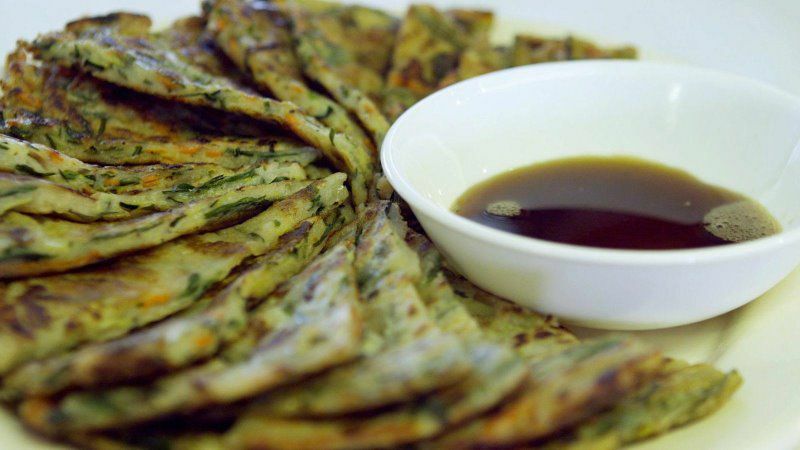 Seasoned hot with peapods, bamboo shoots and onions. White chicken meat with assorted vegetables in a delicately spiced sauce. 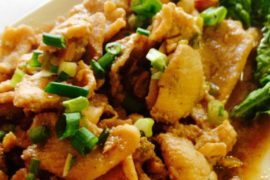 Zull Gaeun Ga Jaeng, chicken breast with fresh garlic and white wine. 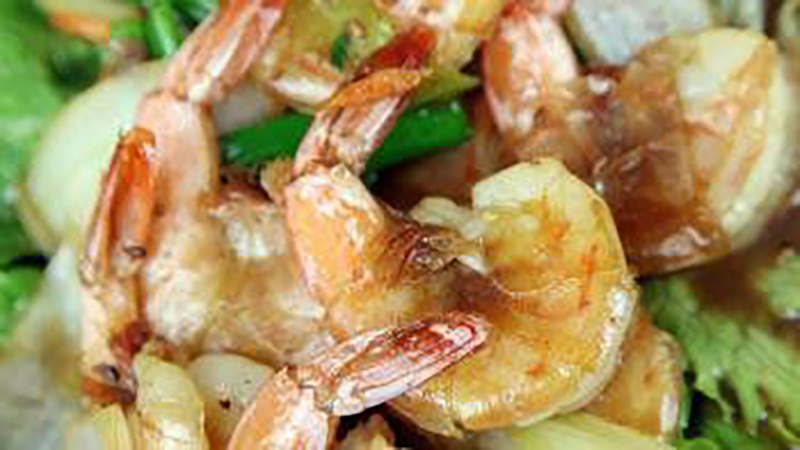 Stir-fried with shrimp and vegetables. 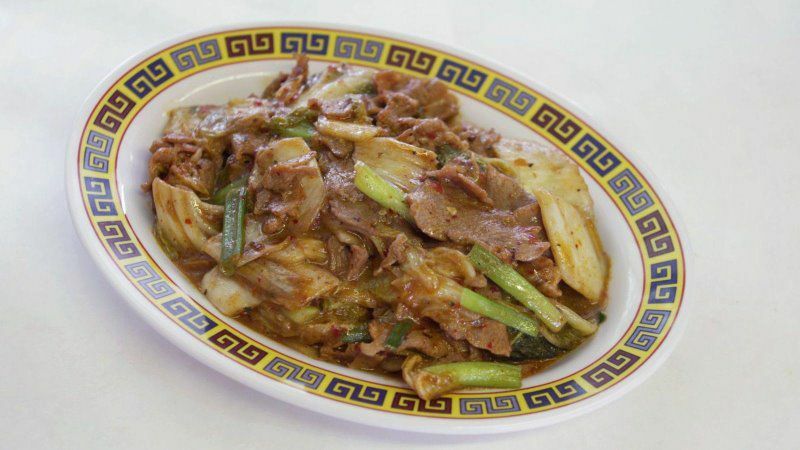 Sliced beef stir fried with fresh pea pods, water chestnuts, and bamboo shoots. 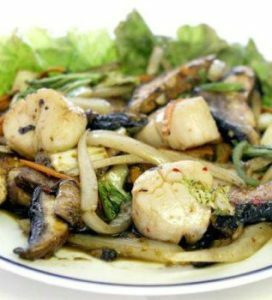 Top quality, large black tiger shrimp, assorted vegetables, bamboo shoots, water chestnuts, and stir fried. Hot spicy beef broth with cabbage, soybean sprouts, green onion, and shredded beef. 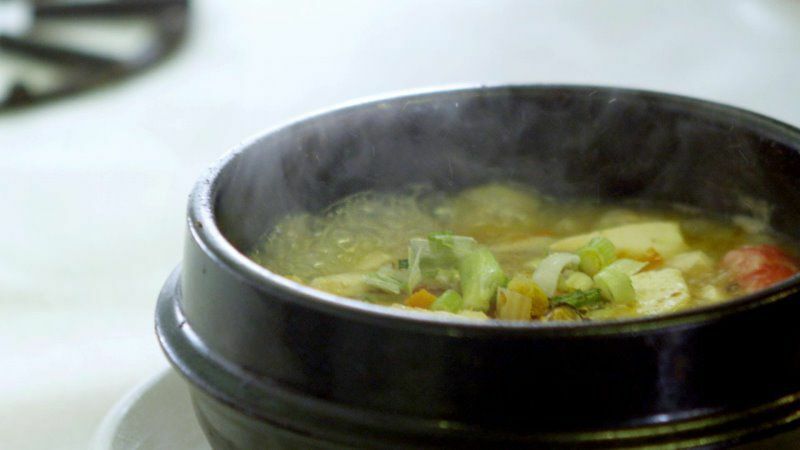 Beef broth, tofu soup with beef, clam and vegetables. Kimchee soup with tofu, beef and vegetables with Korean seasoning. Chicken breast with potatoes and onion cooked hot or mild. Bean curd soup with tofu, vegetables, and boiled pork meat.